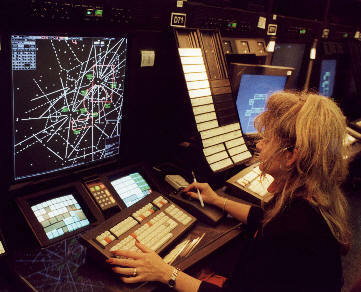 September 18, 2009, WASHINGTON – Paul M. Rinaldi, an 18-year veteran air traffic controller from Washington-Dulles Tower, won a runoff election on Thursday with a record number of votes to become the new president of the National Air Traffic Controllers Association. Rinaldi, who served as executive vice president since 2006, will take office on Oct. 17 to begin his three-year term as the sixth president in NATCA’s 22-year history. Rinaldi won 53 percent of the vote to defeat Miami Center controller Ruth Marlin, who was NATCA’s executive vice president from 2000-2006. The 5,023 winning votes for Rinaldi were the most for a NATCA national officer election. The runoff election was necessitated because neither Rinaldi nor Marlin won the required 50 percent-plus one majority in the first balloting, which was announced on July 31. The 9,446 total votes cast in the runoff was 2,562 more than the total in the first election. Rinaldi has served NATCA in a variety of roles since the beginning of his air traffic controller career, holding positions such as facility representative and assistant facility representative at Dulles Tower as well as Eastern Region alternate vice president. Rinaldi, a native of Island Park, N.Y., resides in Manassas, Va., with his wife, Debra, sons, Anthony, 14, and Nicholas, 2, and daughter, Olivia, 12. NATCA members in good standing vote for the offices of president, executive vice president and their respective regional vice presidents. In NATCA’s other runoff election, which also was decided on Thursday, Kansas City Tower controller Kevin Peterson defeated Andy Heifner from St. Louis Terminal Radar Approach Control in the race for Central Region vice president. Peterson won 235 votes to Heifner’s 206.